Talking about the curse, it is important to ascertain that in real terms, God didn’t curse the man. Remember, the consequence will only manifest if the action is taken inasmuch as the action is not taken, there is no way the consequence will manifest. Therefore, it is an authentic fact that the man brought the curse upon himself and not that God cursed him. What God did was to help him understand what has happened to him as a result of his action. For instance, if there is a ravaging disease surging up in the society and some medical team starts to create awareness and carrying out campaign on the disease and letting people to be aware of how the disease spreads and informing them on how to avoid it. And someone goes ahead to ignore the instruction given by the medical team, and eventually got infected by the disease. Well, if he or she gets to the hospital, and after undergoing a medical test and it is confirmed that he or she has the disease, a doctor has to make him or her know what has happened. The doctor that reads out the result of the test to him or her making known what has happened and the consequence of it is not the cause of the disease and should not be blamed for saying that he or she has gotten the disease. Therefore, the man brought curse upon himself and God never cursed him and most importantly, God does not curse and have never cursed anybody. It should be recalled that I said earlier that the pattern of naming the Adams was not for formalities but each of them represents a function. The first Adam who was of the earthy committed a transgression against the instruction of God and as a result of that; those emanating from him by default become transgressors because he has pass on the DNA of sin on them. The issue is that the man Adam refused to obey God’s instruction which indicates that he never believed God and that becomes his sin. In the same view anyone who comes up and begins to obey instructions from God is authentically called a believer in God. This suggests that the sin of Adam cannot be automatically instilled on people. In other words, the sin of Adam is established in the life an individual if he starts thinking in line with the way Adam thought which is the way unbelief is established and vice versa. 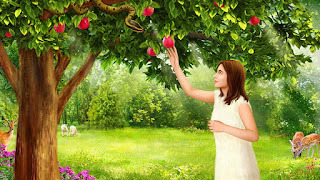 Nevertheless, the sin committed by Adam is not just the act but also establishes a nature of sin; therefore, the most important thing is not how to deal with the act, but how to deal with the nature. So the concern of God is not in the act but in the nature. Since through the unbelief of the man Adam sin came into the world and as a result it gave birth to what is known as curse, to deal with this curse which is encapsulated in what is called death, God has to take away the cause of the death which is the sin nature. So along the line we find some people who have believed in God and worked with God, but the sin nature still reigns in their life, but because they found grace in the sight of God as they believed in Him their sins were overlooked. However, as Adam failed none of his offspring have the capacity to reverse the situation, so in order to help their pathetic nature God has to come in. What is required therefore to erase this nature of sin is not just a total obedience to the word of God but a payment should be made to settle the wage of sin which is death. So, the coming of the second Adam is to fully obey God and not walk in the step of the first Adam and He must crown it up with the settlement of the debt of sin which is His death, by this the nature of sin will be eradicated. On the other hand, because the man has lost his right, the declaration of dominion and power that God made over him could not be manifested in his life; so he became subject to the elements of this world and couldn’t have control over them. 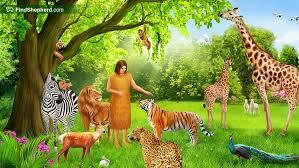 Adam never reigned or has dominion over the creatures of this world, rather he became their prey. He deliberately and consciously delivered this power and dominion to him that manifested behind the scene of the tree of knowledge of good and evil. But one thing is very clear, and that is, the purpose and plan of God cannot be thwarted though it might be deferred by events mainly from man. So as the first Adam lost this power and dominion there is the need for another to come in order to accomplish what the first Adam could not and in it restores man back to the original purpose of God for him. The process of the coming and arrival of the second Adam is what is called the redemptive plan of God for man.